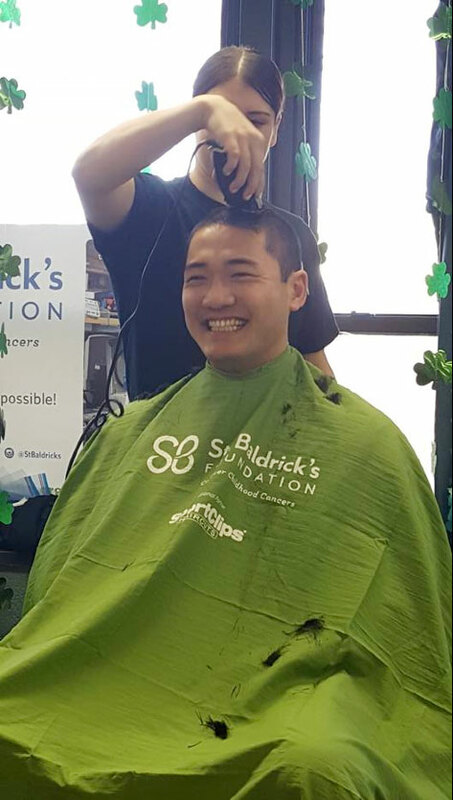 Parishioners, students and a priest from St. Mel’s parish, Flushing, recently participated in a hair-donation event to benefit the St. Baldrick’s Foundation, a non-profit dedicated to conquering childhood cancers. It was organized by the St. Mel’s Youth Group. Members of the youth group, directed by James Walter, organized the event to give back for all the blessings they have received in their lives. 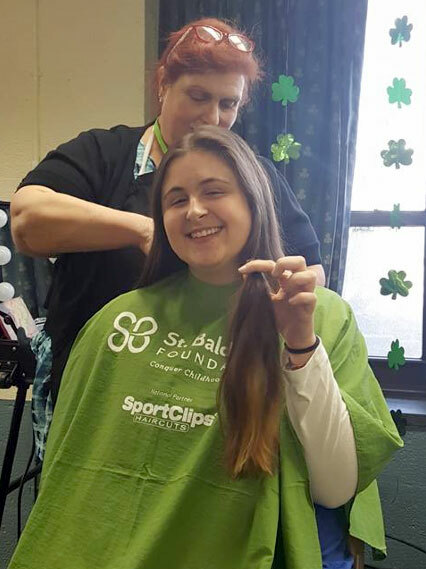 Sponsored by donors, around 20 men shaved their heads and several women and girls each donated eight inches of hair for children who have lost their hair due to cancer treatments. According to Father JunHee Lee, parochial vicar, at right, who also shaved his head, the goal was to raise $5,000. But by the end of the event, the youth group had raised almost $8,000. 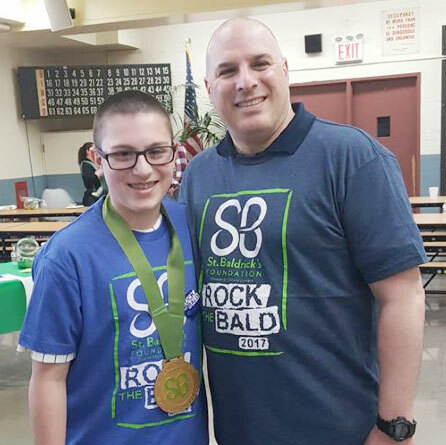 One of the highest pledges, close to $1,500, came from Joseph Sferrazza, an eighth grader from St. Mel’s religious education program, who shaved his head along with his dad.